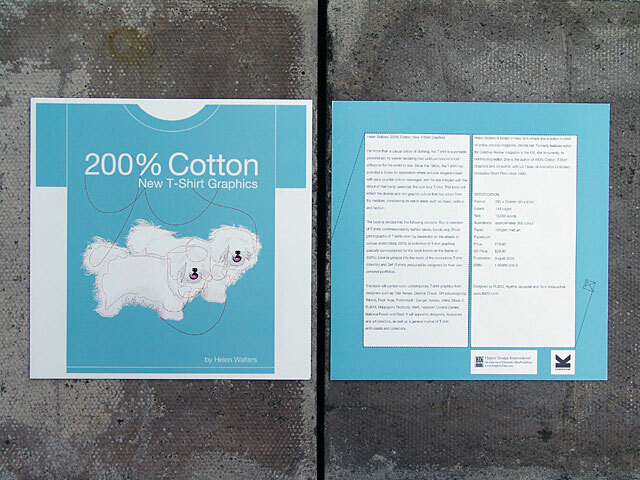 200% Cotton – New T-shirt Graphics was the very first book design commissioned by what was to become a very loyal client and FL@33's very own publisher – namely London-based Laurence King Publishing. 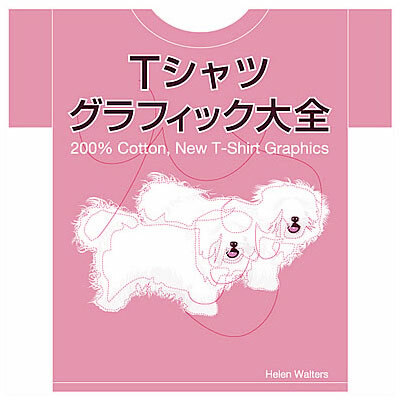 We worked very closely with the book's author Helen Walters who gave us a lot of freedom to help editing the compiled footage. 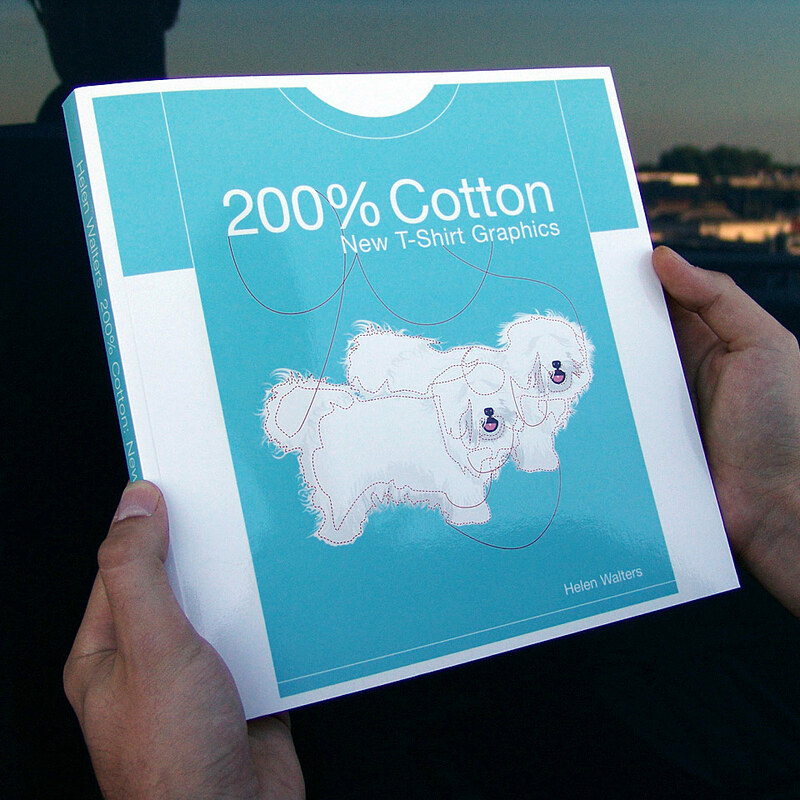 ___ Helen Walters also commissioned us to contribute a 200%-themed artwork to the book. 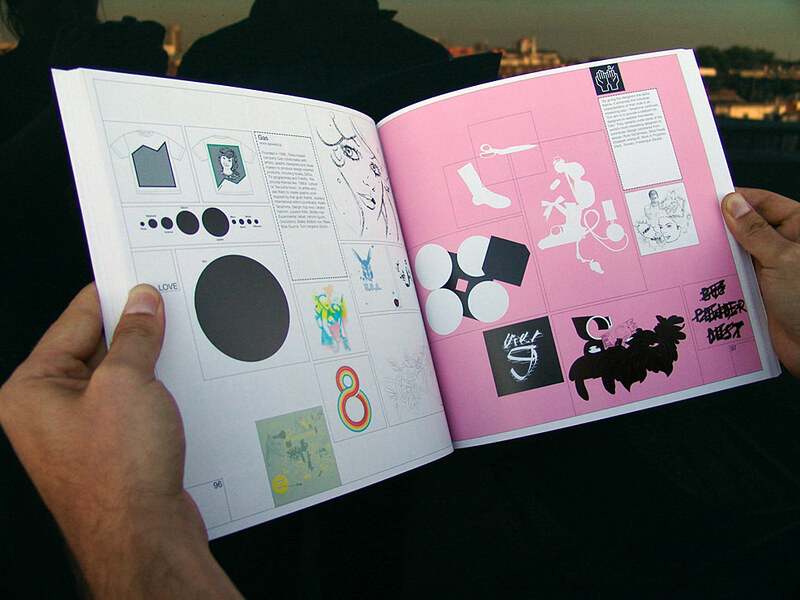 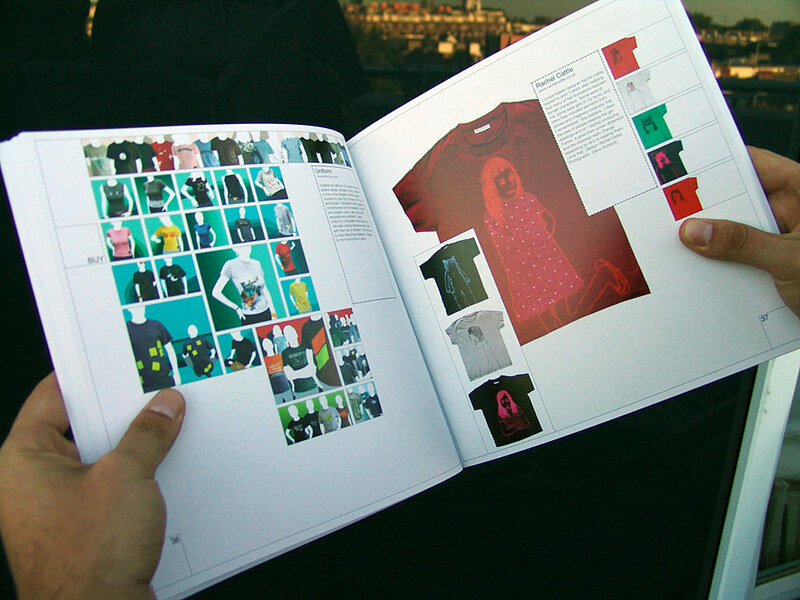 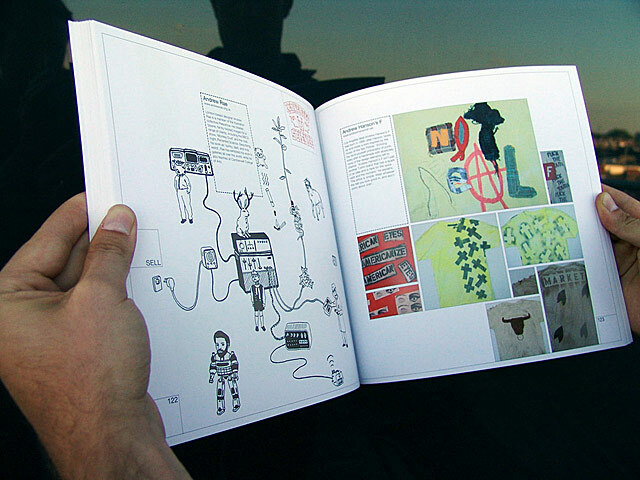 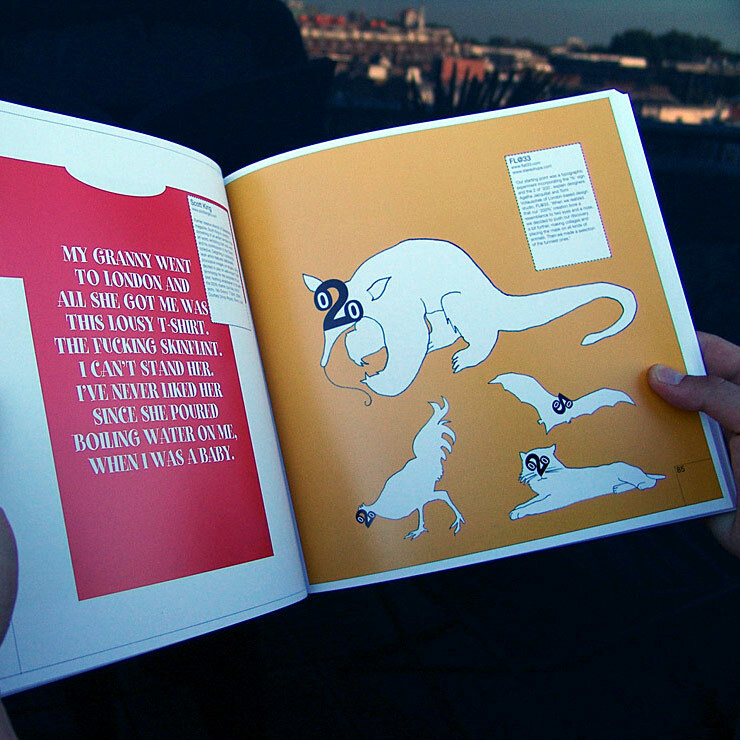 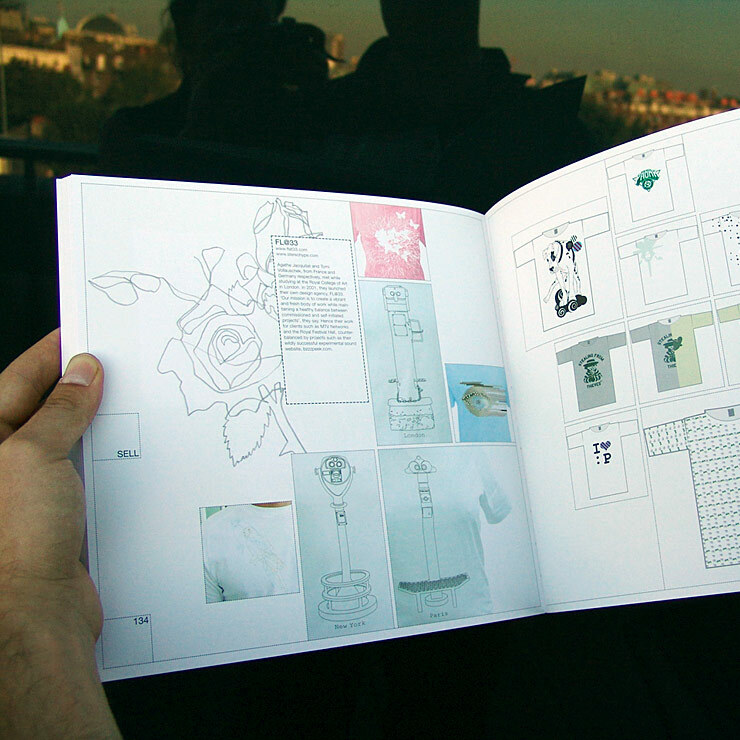 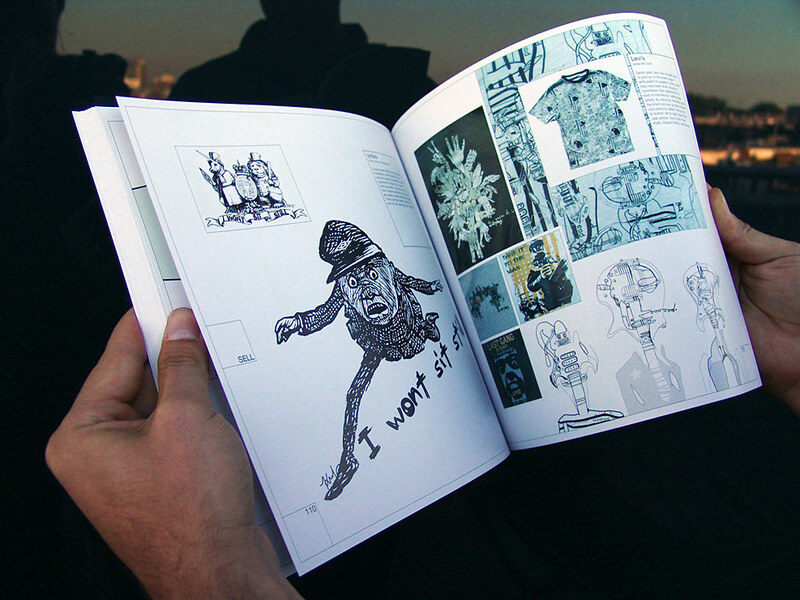 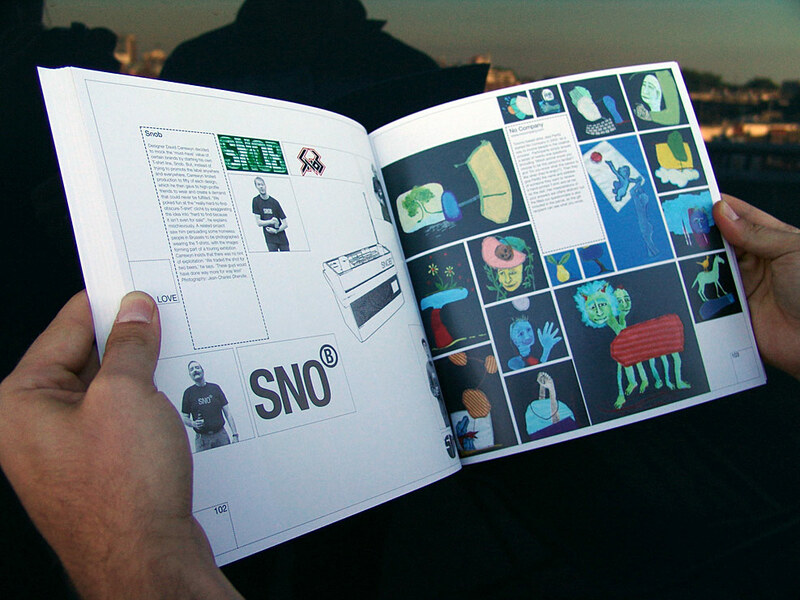 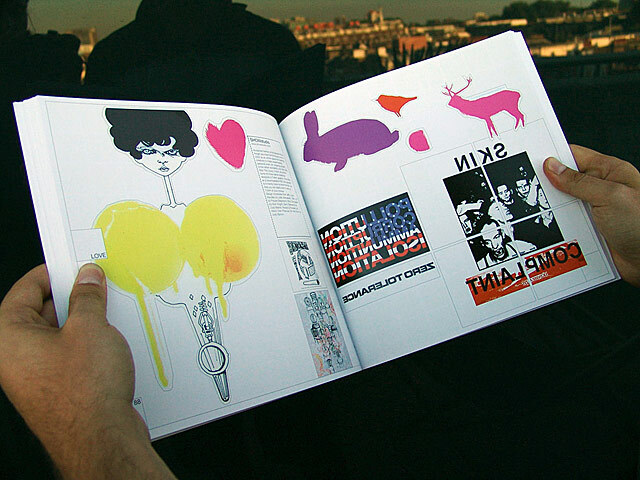 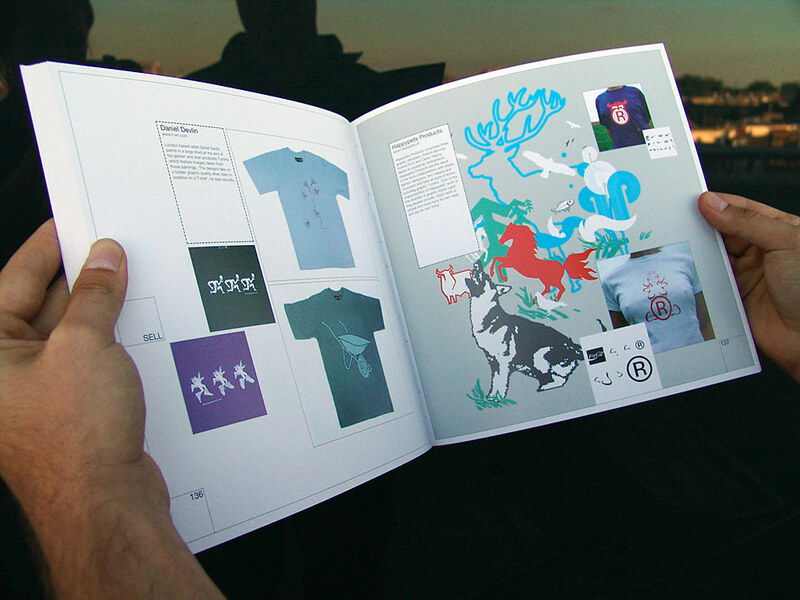 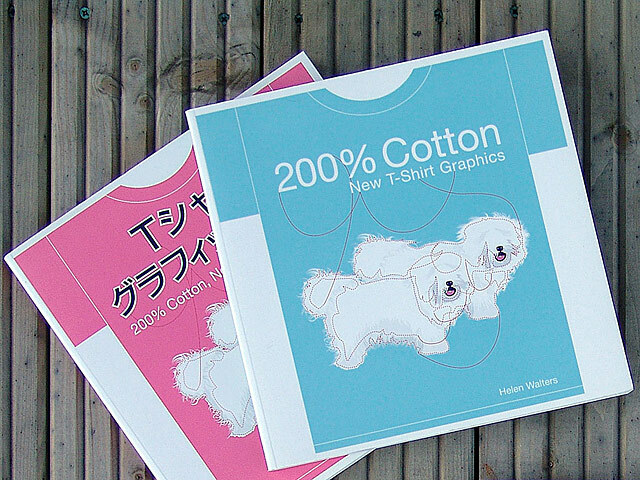 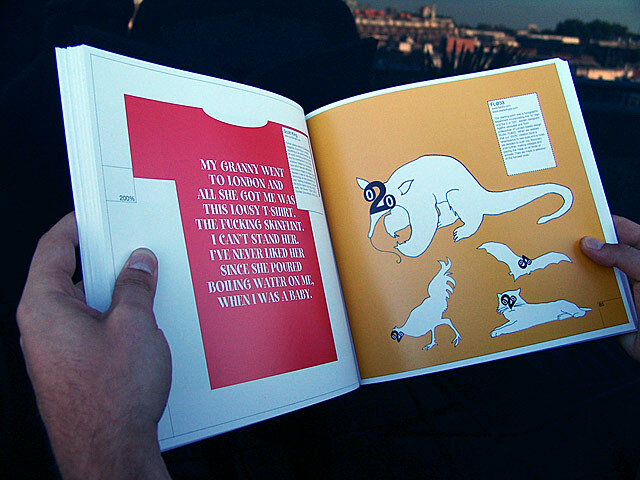 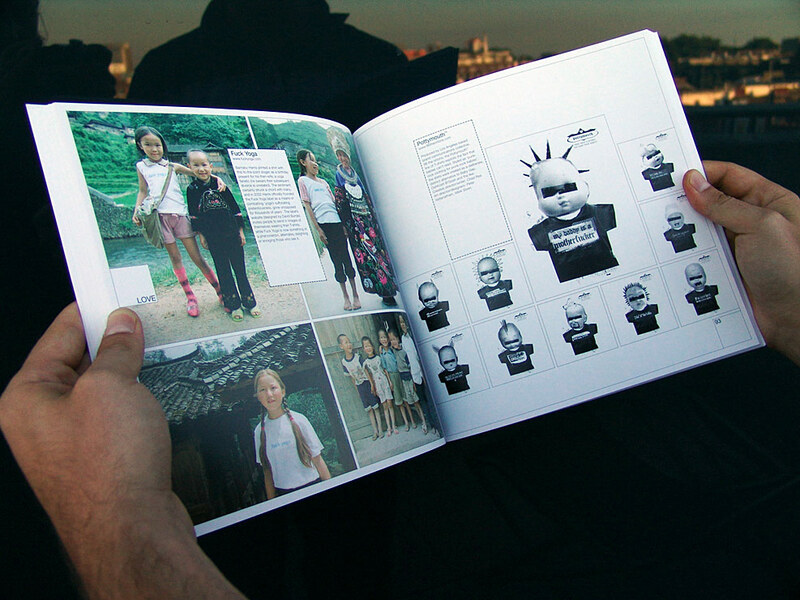 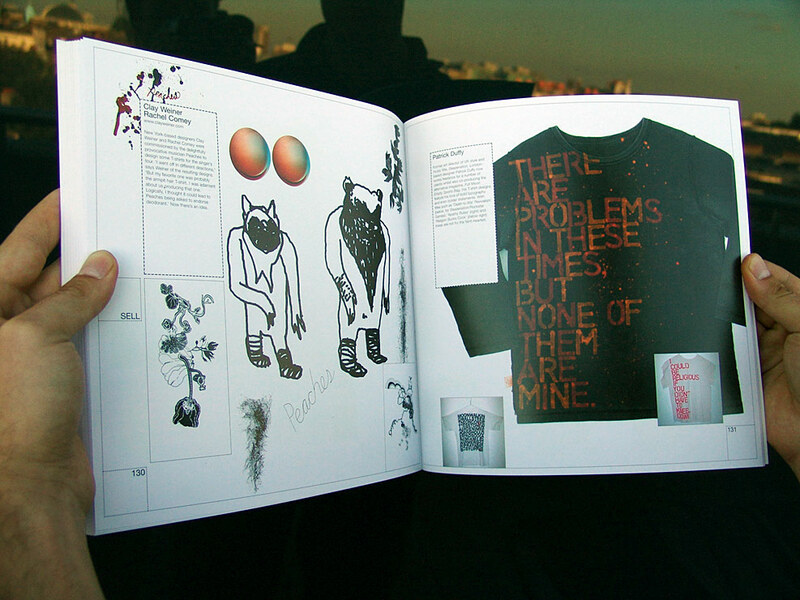 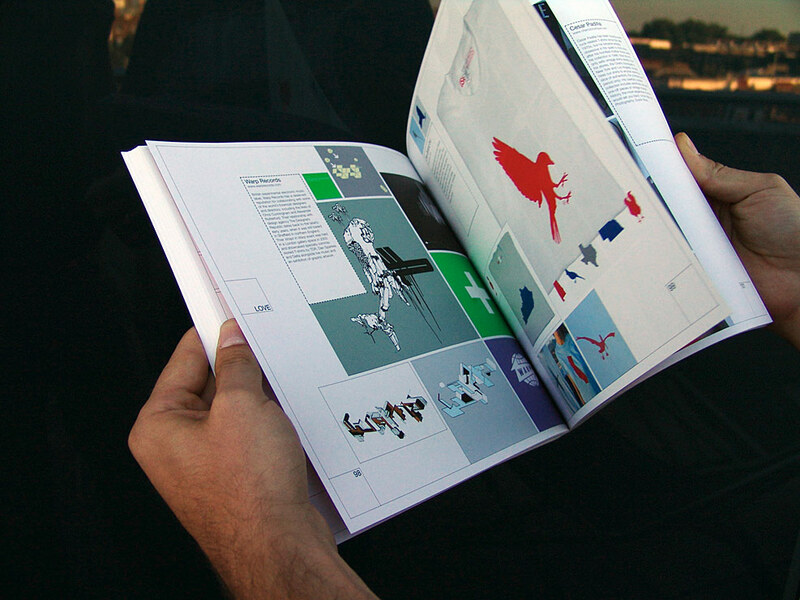 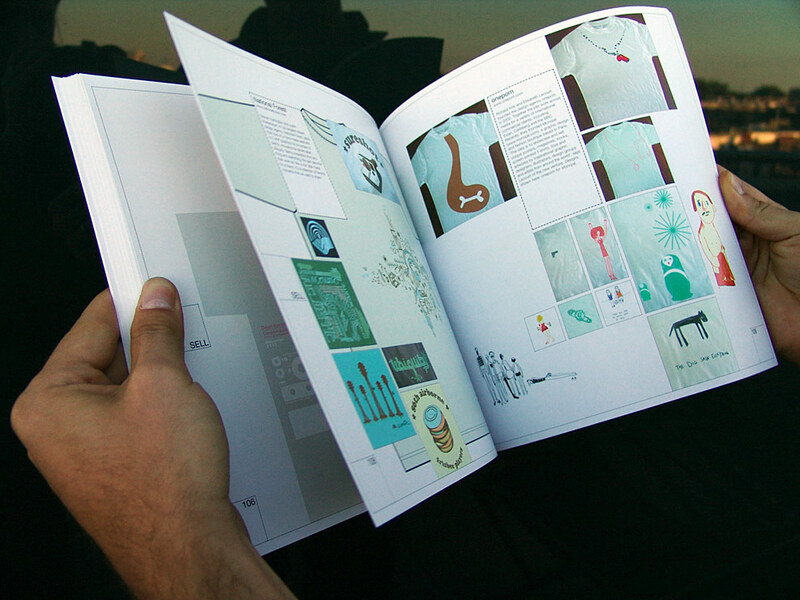 200% Cotton and its sequel 300% Cotton are image-based books containing over 1,000 illustrations each. 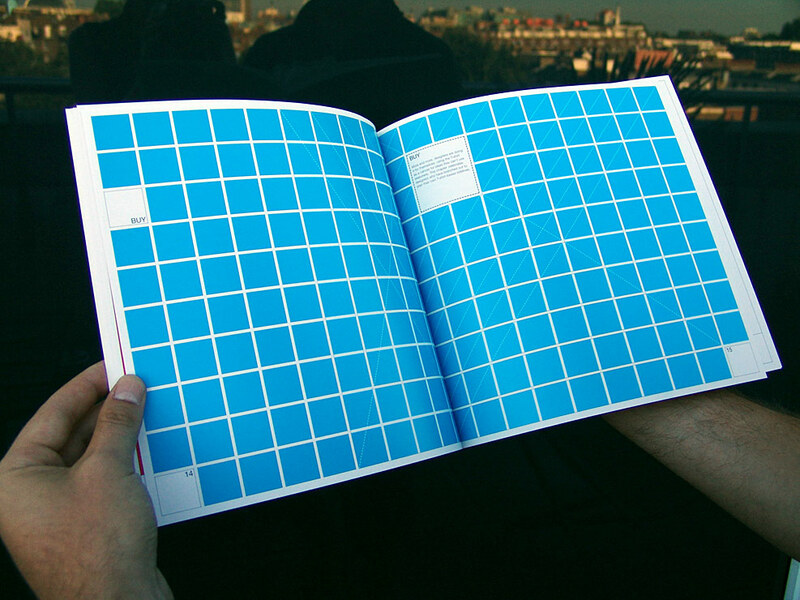 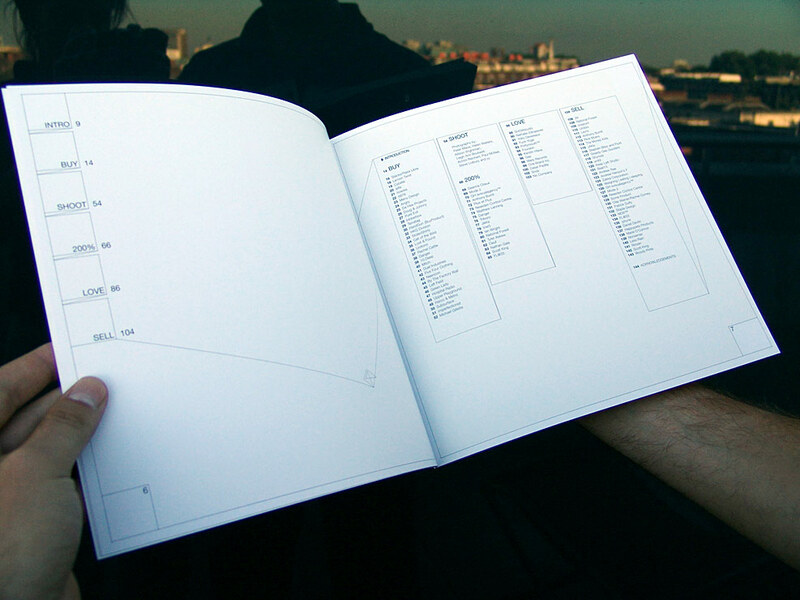 The grid FL@33 developed had to be flexible, provide consistency, and make the design process relatively systematic. ___ Thread-like, dotted lines were applied to picture and text frames to create a subtle impression of fabric and fashion. 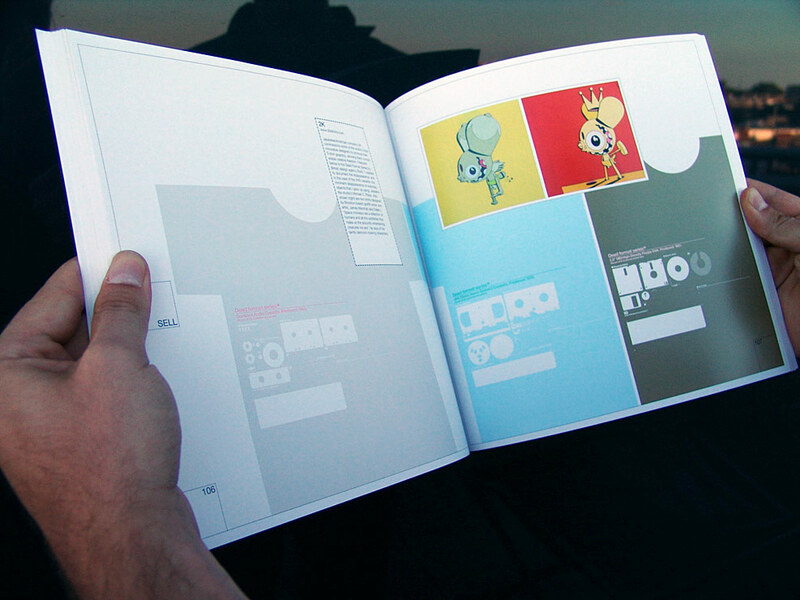 The layout allowed us to create a strong, versatile and playful visual identity. 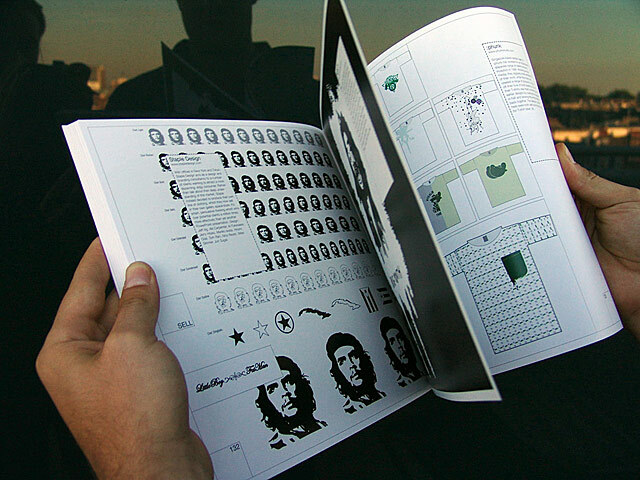 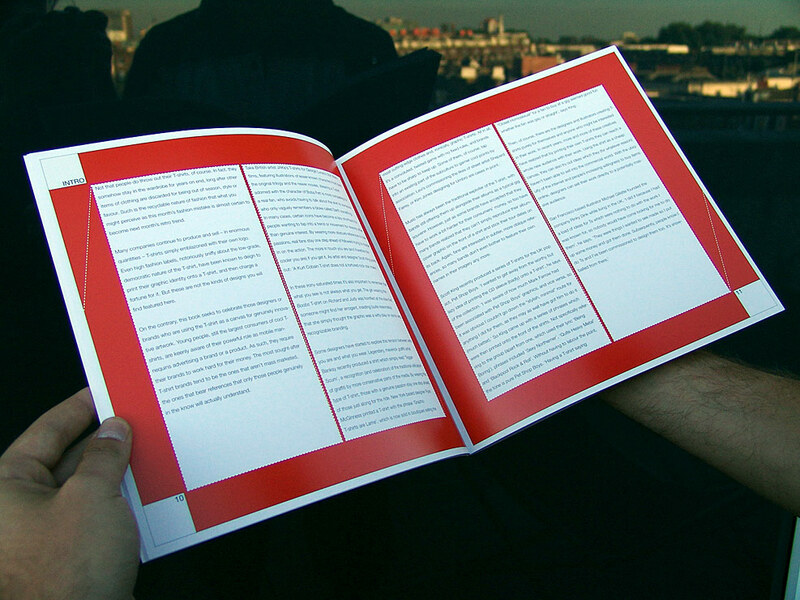 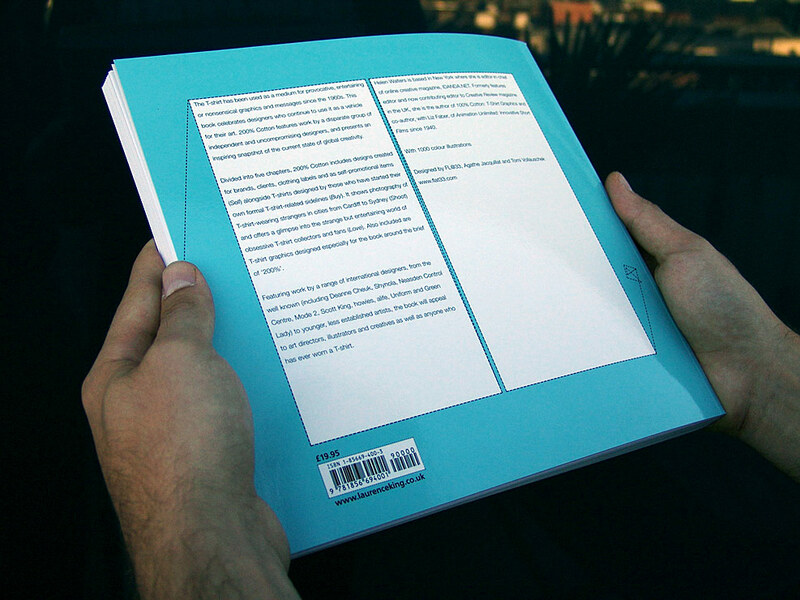 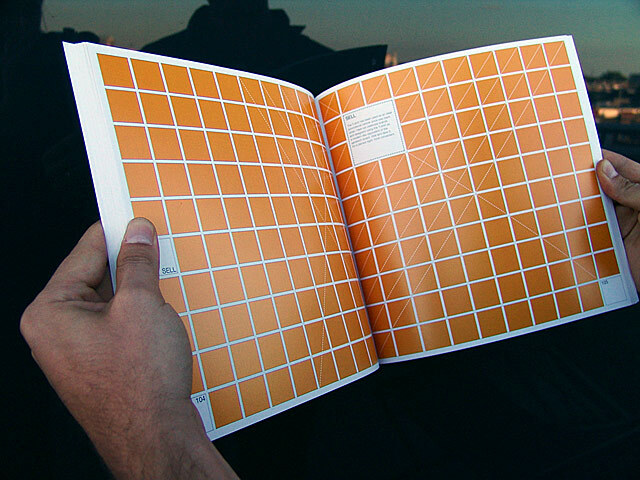 ___ Shown here are sample spreads, cover details, chapter openers and the BLAD (Book Layout And Design) – produced prior to starting the complete book design in order for the publisher to be able to present the project at book fairs. 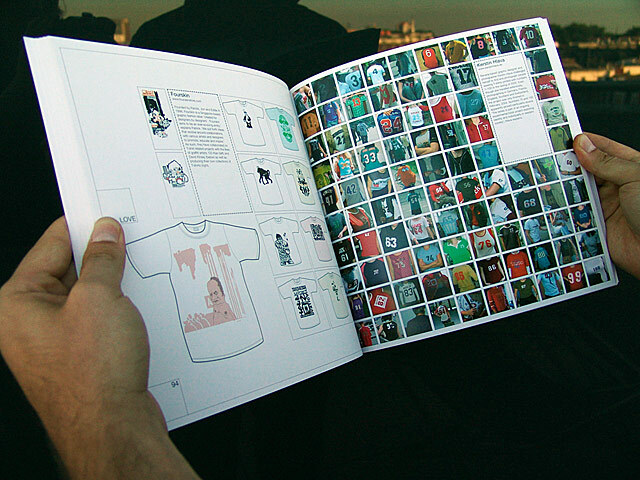 ___ A few remaining 200% T-shirts are still available at stereohype.com. 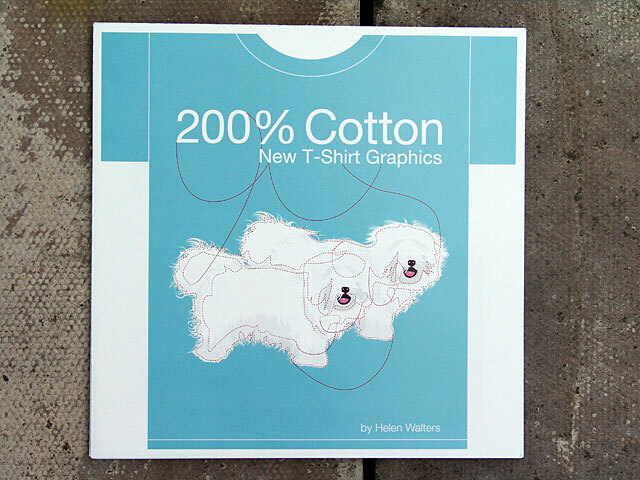 Helen Walters from 200% chapter: '200%' we said, and then ran away and left these various designers to design a related T-shirt graphic. 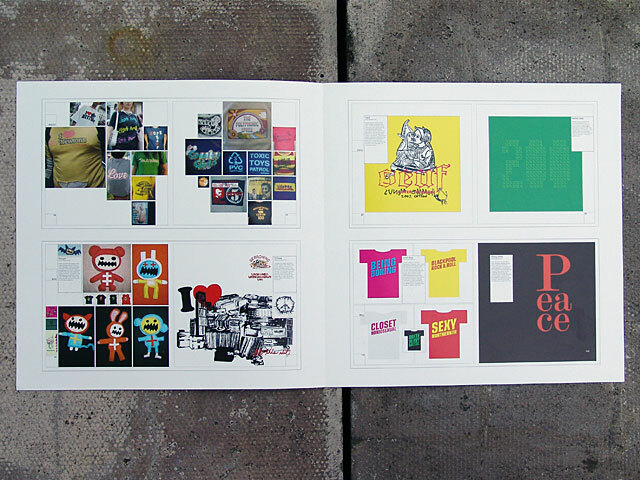 The results couldn't be more eclectic, from illustrative to typographic to downright bizarre, while in some cases they're really not related to the brief at all. 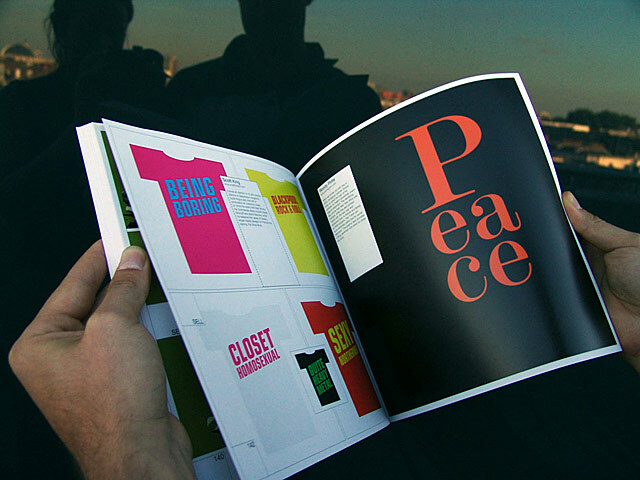 Nonetheless, this chapter presents a snapshot of some truly creative thinking from a wildly talented group of international artists and designers. 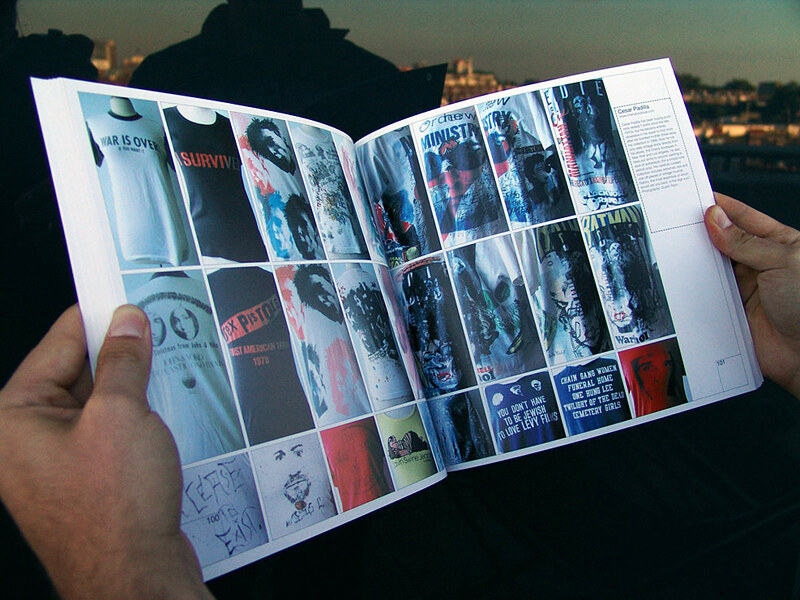 ___ Helen Walters from Sell chapter: The T-shirt has been used as an ideal promotional vehicle since way back when. 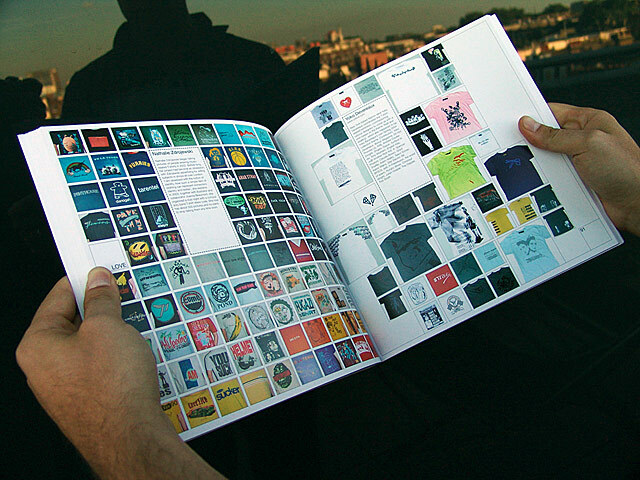 Here we celebrate brands and designers using the T-shirt as a modern-day equivalent of the sandwich board. 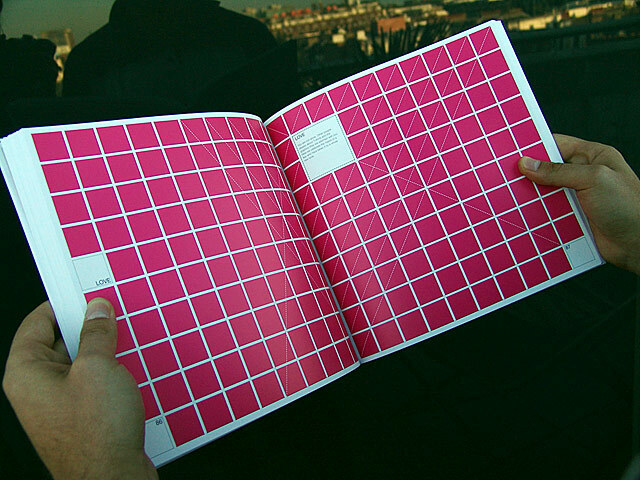 Well let's face it, it's a darned sight more convenient. 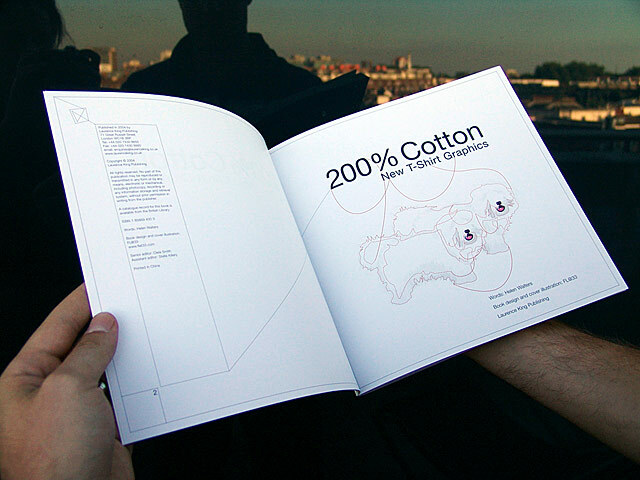 ___ 200% Cotton, p.135: FL@33 (www.flat33.com, www.stereohype.com) – Agathe Jacquillat and Tomi Vollauschek, from France and Germany respectively, met while studying at the Royal College of Art in London. 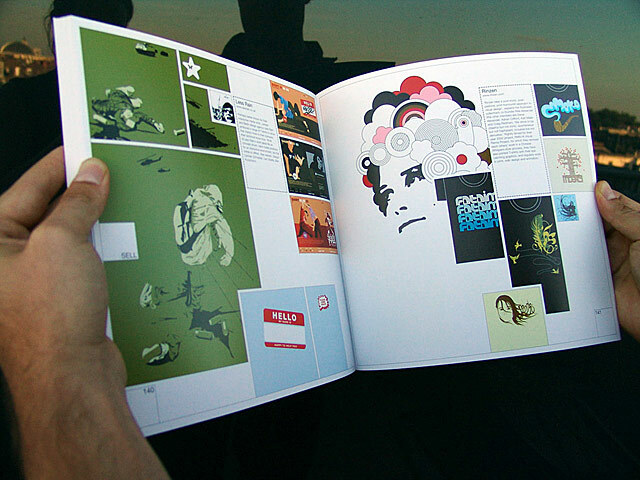 In 2001, they launched their own design agency, FL@33. 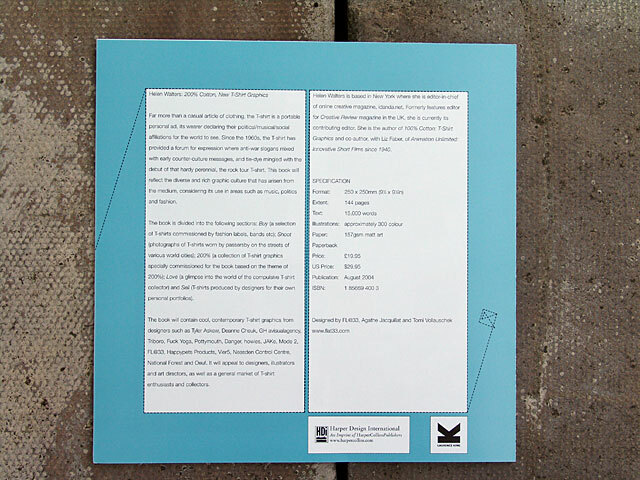 'Our mission is to create a vibrant and fresh body of work while maintaining a healthy balance between commissioned and self-initiated projects', they say. Hence their work for clients such as MTV Networks and the Royal Festival Hall, counter-balanced by projects such as their wildly successful experimental sound website, bzzzpeek.com. 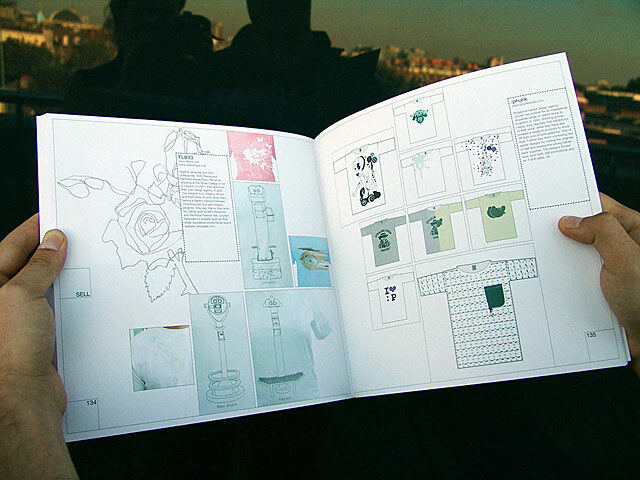 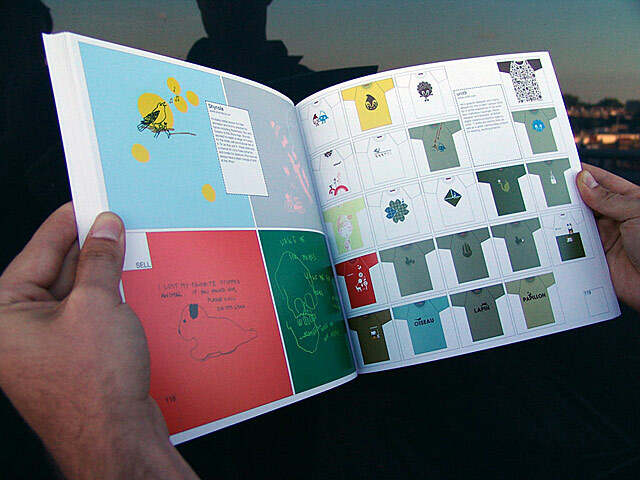 Other FL@33-designed books for Laurence King Publishing besides the internationally successful 200% Cotton – New T-Shirt Design (2004) included its sequel 300% Cotton – More T-Shirt Design (2006), the best-selling Patterns – New Surface Design (2007/2012) and Cult Streetwear (2010/2011).